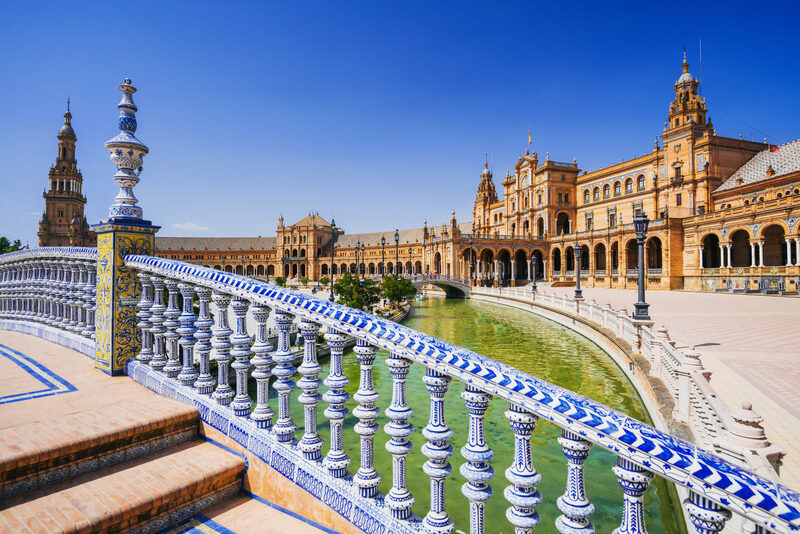 Relaxing along the Mediterranean in Málaga or Marbella is marvelous, but historic Seville, Córdoba and Granada each make a great day trip or overnight visit. 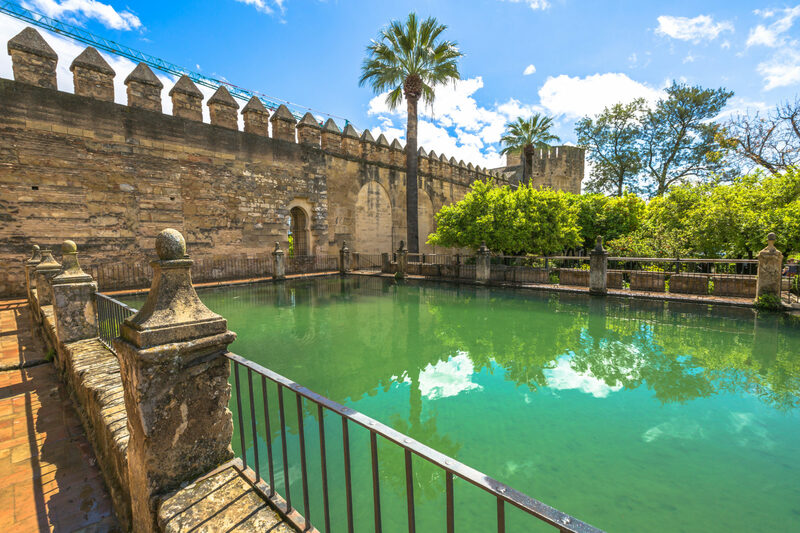 Like many visitors before me, I felt myself being swept away by three of the most celebrated cities in the Spanish region of Andalusia: Seville, Córdoba and Granada. The first seduced me with its palaces and flamenco dancers. The second dazzled me with its Mezquita mosque and Roman Bridge. And the last entranced me with the Moorish splendor of the Alhambra. Although I only spent 12 to 36 hours in each city, I felt as if I had peered into their souls. These are places that speak to you — even if you can barely speak Spanish. To truly appreciate Seville, experience it at night. I discovered this on my second visit, a 36-hour stay about three years after my first whirlwind cruise ship excursion from the coast. That said, there’s plenty to see during the day, and arriving at noon gave me time to revisit the places I fell in love with initially. 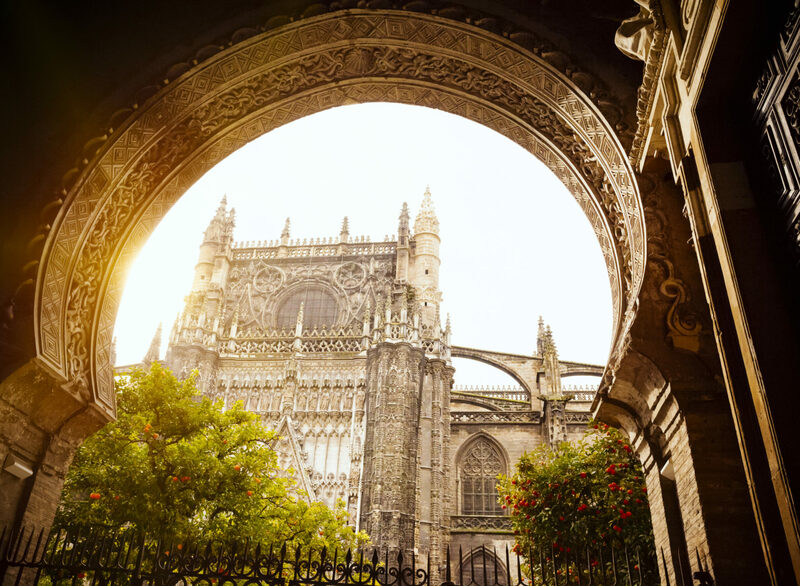 I headed straight for Seville Cathedral — officially known as Santa María de la Sede — which was constructed between the years 1401 and 1506. It’s the world’s largest Gothic cathedral, and it’s magnificent, with 80 side chapels and 15 doors. Santa María de la Sede is also known for its distinctive bell tower, the Giralda (which is actually the original minaret of the 12th-century mosque that first stood on that site). You can also see the marble tomb of Christopher Columbus held aloft by pall bearers representing four Spanish kingdoms. Afterward, I meandered past the Plaza de Toros de la Real Maestranza (a bullring made famous in the opera Carmen). Next, I marveled at the 12-sided Torre del Oro, a stunning historic military watchtower near the Guadalquivir River. I was tempted to linger, but I wanted to squeeze in a stop at Plaza de España — a grand and glorious semicircular structure built for the Ibero-American Exhibition of 1929 — before touring the Real Alcázar, a stunning palace that’s now a UNESCO World Heritage Site. The latter was just as breathtaking as I recalled: a labyrinthine ode to 14th-century Moorish artistry and excess. As night fell, I looked forward to experiencing the seductive, tempestuous Andalusian dance called flamenco. The performers at Tablao El Aranal, an intimate club on Calle Rodo, did not disappoint, swirling and stomping passionately. But a chance encounter on the walk back to my hotel proved equally memorable: the enthralling rhythm of Spanish guitar drifted through the air, courtesy of a musician poised beneath a vintage street lamp. He strummed with a cool bravado, so I stopped and listened. Then I dropped a few coins into his hat and continued on my way, my head and heart lightened by the pure joy that is Seville after dark. 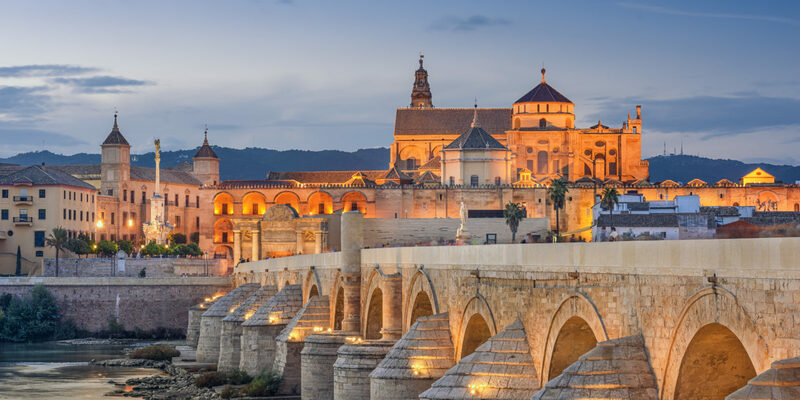 Get to know religions and royals in Córdoba. Córdoba, a city rich in history and architecture, had been on my must-visit list for a while. And all I could say upon arrival was, “wow.” It was beautiful from my first steps. Unfortunately, I had less than half a day there, so I decided to hire a guide to help me make the most of it. We met near the Puente Romano, the Roman Bridge of Córdoba. As we walked across its 16 graceful arches, I learned that it was built in the 1st century AD — but little of the original structure remains. Most of the current bridge dates back to the medieval period, but it has also achieved modern fame as the Long Bridge of Volantis in the HBO series Game of Thrones. Next, we headed to the Alcázar de los Reyes Cristianos (the Palace of the Christian Kings), where a fortress-like exterior surrounds a 14th-century palace built by Castilian Catholic monarchs. It was here that King Ferdinand and Queen Isabella first met Christopher Columbus. The history is fascinating, but it’s the gardens that really captivate with fish ponds, fountains, flowering hedges and orange trees that are simply heavenly. Later, we delved into two other major religions. We visited the Synagogue of Córdoba, one of only three surviving temples dating back to before the Jews were expelled from Spain in 1492. We also admired the Mezquita-Catedral de Córdoba (or the Great Mosque of Córdoba), which was constructed from the eight to the 10th century. 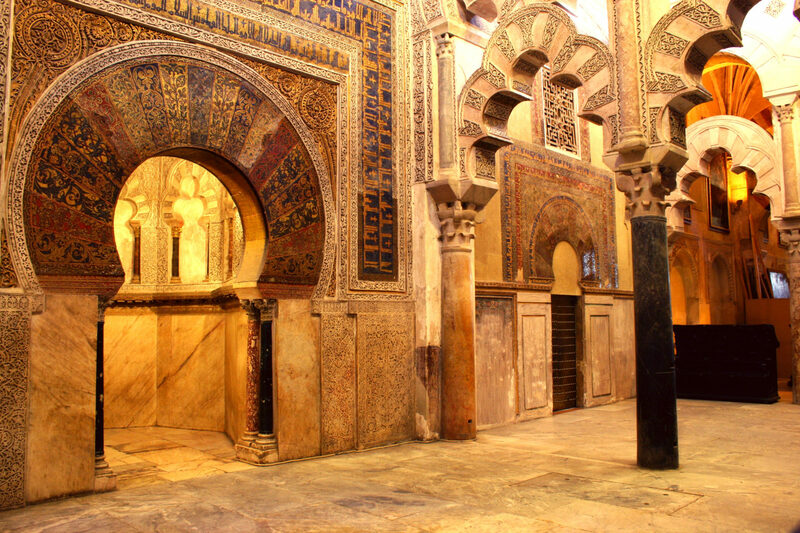 The designs are completely distinct from each other: while the Synagogue features intricately carved Mudéjar stucco and almost claustrophobic dimensions, the Mezquita’s vast main prayer room is a forest of 850 jasper and marble pillars in multi-colored patterns. Both sacred spaces are uniquely memorable. Instagram the Alhambra in Granada. The multiple palaces within the Alhambra — including the Nasrid Palaces, the Comares Palace and the Palace of the Lions — are a decorative bonanza of intricate mosaics and carvings. I was awed by the 1,000-year-old craftsmanship; everywhere I looked, I spotted colors and patterns irresistible to the eye. Even the murky green pools of the Court of the Myrtles were strangely hypnotic. And despite its name, the Patio of the Irrigation Ditch was delightful. 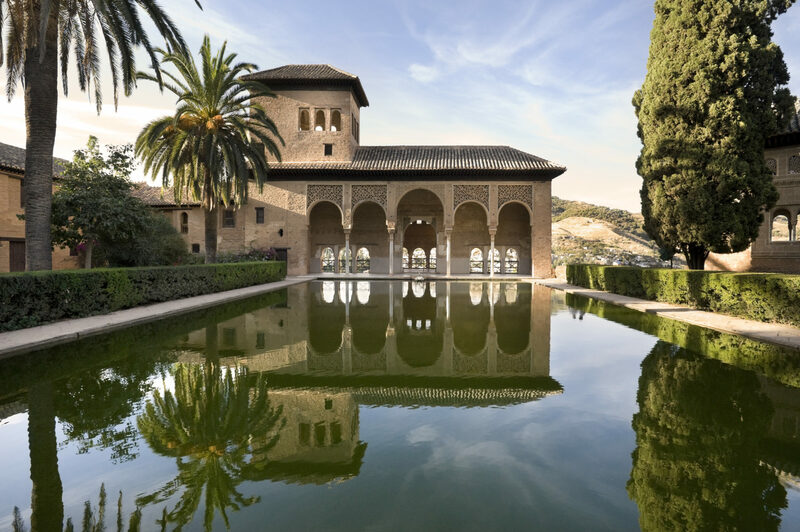 My favorite part, though, was Alhambra’s famed gardens, a series of enchanting pathways lined with palm and cypress trees and smelling of roses and wisteria — a midsummer’s Andalusian dream come to life. If you’re visiting in summer, prepare for hot weather (temperatures in the region regularly top 90 degrees). Pack a light hat, sunglasses, sunscreen and plenty of water.